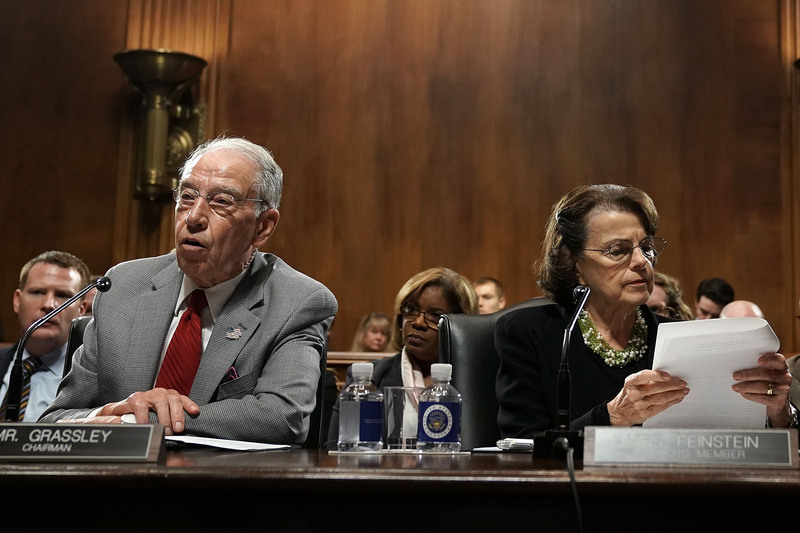 Senate Judiciary Committee chairman Chuck Grassley said Friday that he hopes Michael Avenatti, the attorney for adult film star Stormy Daniel, wins the Democratic nomination in 2020 to vie for the presidency against President Donald Trump. The Iowa senator took umbrage with Avenatti after he came forward as the attorney for Julie Swetnick, a woman who accused Supreme Court Justice Brett Kavanaugh of being present while girls were drugged and gang-raped in the 1980s. Avenatti has shown interest in running for president in 2020 on the Democratic ticket. He officially launched his own political action committee (PAC) in August in preparation for the presidential run. Avenatti is also a frequent critic of Trump — he announced in September that he would hold a “resistance rally” in Texas at the same time Trump was scheduled for a Sen. Ted Cruz rally in order to “send a message” and to “fight fire with fire.” While around 100,000 individuals RSVP’d for Trump’s rally, Avenatti bowed out of his rally.